Anxious about losing ground to Western influence in the post-Soviet space and the ousting of pro-Russia elites by popular electoral uprisings in the early 2000s, the Kremlin has developed a range of proxy groups in support of its foreign policy. This network of pro-Kremlin groups promotes the Russian World (Russkiy Mir), a flexible tool that justifies increasing Russian actions in the post-Soviet space and beyond. Russian groups are particularly active in Georgia, Moldova, and Ukraine—countries that have declared their desire to integrate with the West. Russia employs a vocabulary of ‘soft power’ to disguise its ‘soft coercion’ efforts aimed at retaining regional supremacy. 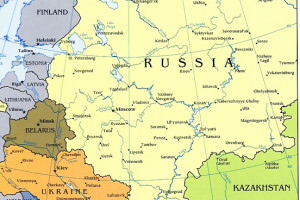 Russian pseudo-NGOs undermine the social cohesion of neighboring states through the consolidation of pro-Russian forces and ethno-geopolitics; the denigration of national identities; and the promotion of anti-US, conservative Orthodox, and Eurasianist values. They also aim to establish alternative discourses to confuse decision-making, and act as destabilizing forces by uniting paramilitary groups and spreading aggressive propaganda. Click here for Atlantic Council: Orysia Lutsevych, The Long Arm of Russian “Soft” Power.